Did people say that snacking on chips is unhealthy? That's because they have not tasted the two latest flavours of Mission Chips -- Multigrain as well as Corn and Rice! 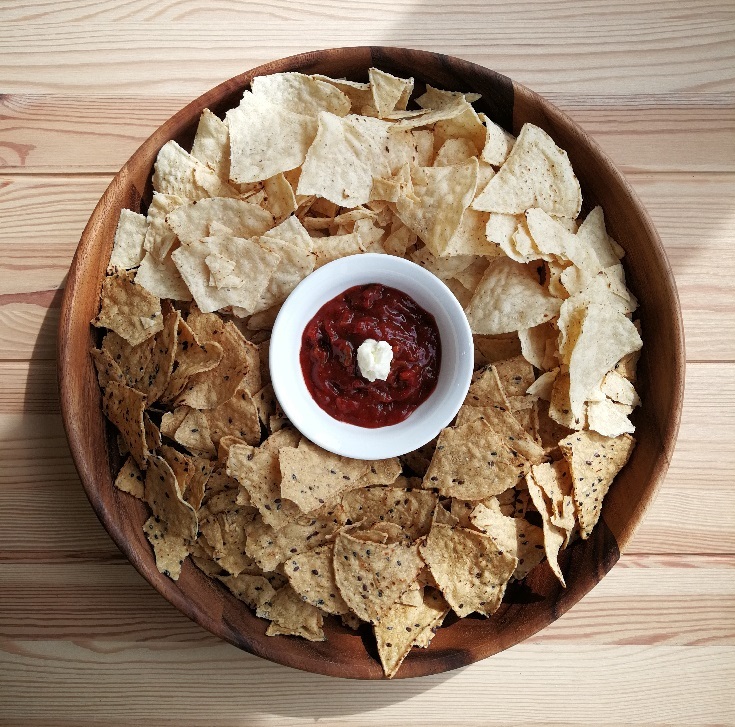 I have always been a fan of Mission Chips when it comes to crunchy tortilla chips, and you may have seen them in various flavours such as Original, Cheese, Tomato, BBQ, Butter and Garlic, as well as Hot and Spicy. 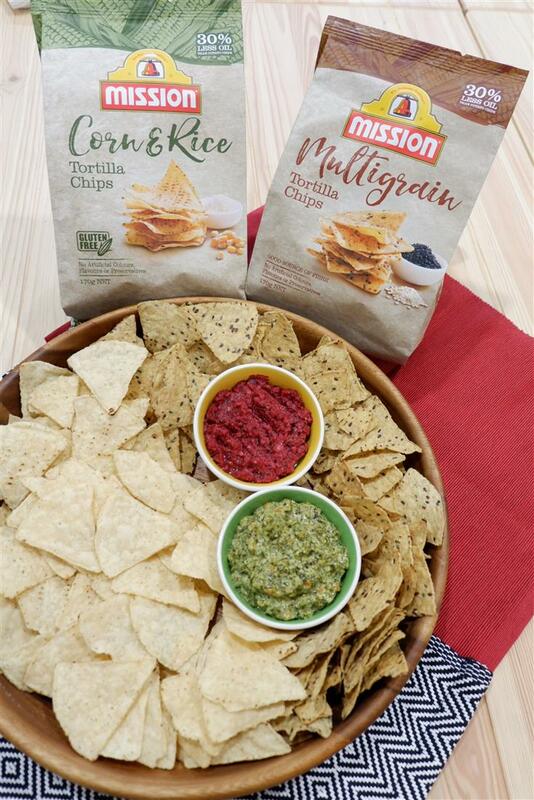 Specially for the healthy goers, Mission Multigrain and Corn and Rice Chips are introduced as a great nutrient-rice snack which you can enjoy anytime, anywhere you like. Made of 100% corn, they also have 30% less oil than potato chips, no artificial colours, flavours or preservatives. 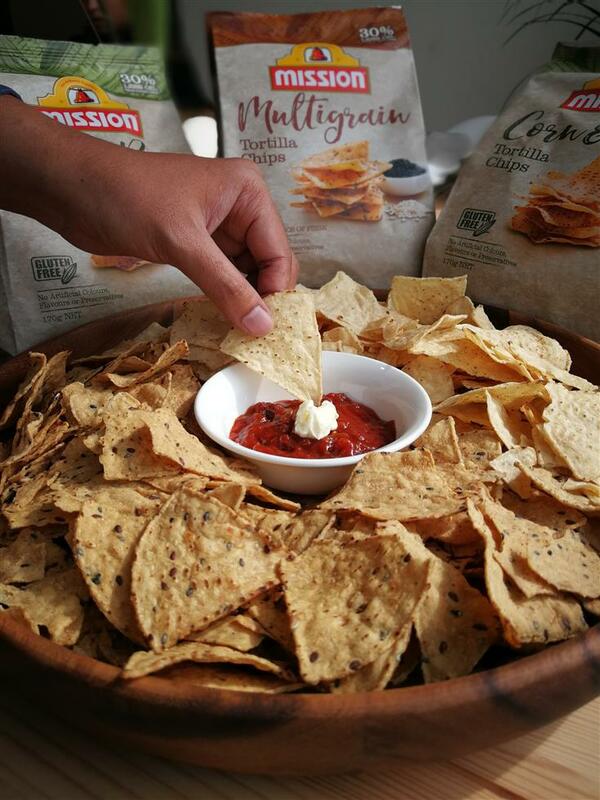 Mission Multigrain Chips are made with whole stoneground corn and enriched with superfoods such as oats, soybean, white and black sesame, and linseed. I am sure that you know oats bring several health benefits such as controlling blood sugar levels, improving digestion and removing body toxins. Soybean helps improve digestive and bone health, whereas the black and white sesame are loaded with healthy fats such as Omega-6 and fatty acids. On top of that, it actually tastes very delicious! I love the distinctive nutty taste and grainy texture that gives a more pleasant biting sensation than before. On the other hand, Mission Corn and Rice Chips (in green package) is perfect for those looking for a gluten-free savoury snack. Made with whole stoneground corn treated with lime, and rice meal, it gives a mild yet satisfying flavour to the palate. Ideal for dipping with any sort of dip, be it spicy, creamy or chunky. During this festive season, why not serve the guilt-free Mission Chips as a party snack and enjoy them with our friends and family? 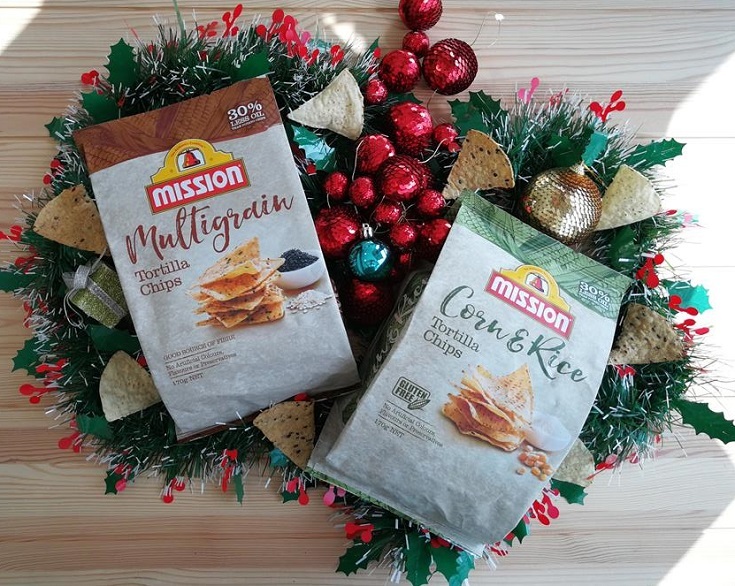 With the new flavours enriched with super foods and super nutrients, now there is no way to say no to the Mission Multigrain as well as Corn and Rice Chips! Did I forget to mention that Mission Foods will be organising free-tasting of the new range at participating supermarkets? Don't miss out the festive promotion of a complimentary microwavable container for purchase of any two packs of chips. Mission Chips give you more reasons to reach for two packs or more now! Mission Chips are available in bags of two sizes: 65g (RM2.99) and 170g (RM6.99). For more information about Mission Chips, please visit www.missionfoods.com.my.